The World famous Cascades were built by the William and Matilda Sparks Foundation and were first operated in May 1932. The Cascades are operated nightly through the summer from Memorial Day through Labor Day. 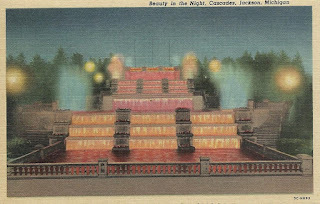 Nightly throughout the summer as the gloom of dusk thickens, water splashes down the concrete falls, powerful lights flash on and a colorful kaleidoscopic scene of breath-taking beauty appears before the eyes of awe-inspired thousands. 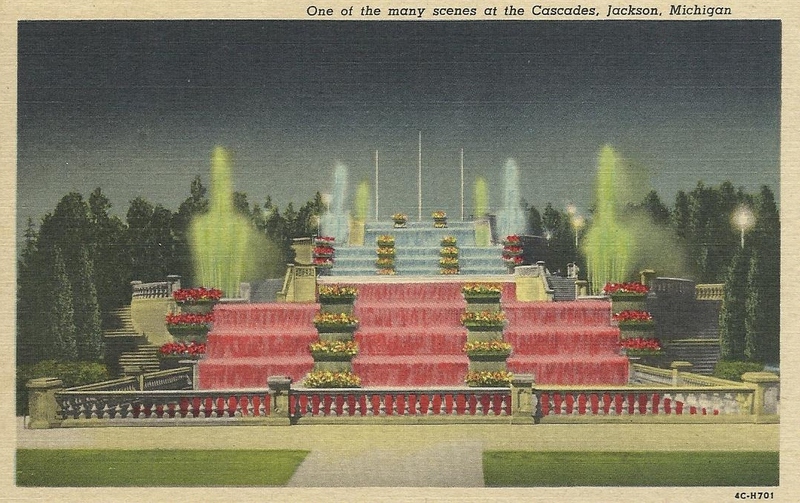 The world famous Cascades were built by The William and Matilda Sparks Foundation and were first operated May 9, 1932. 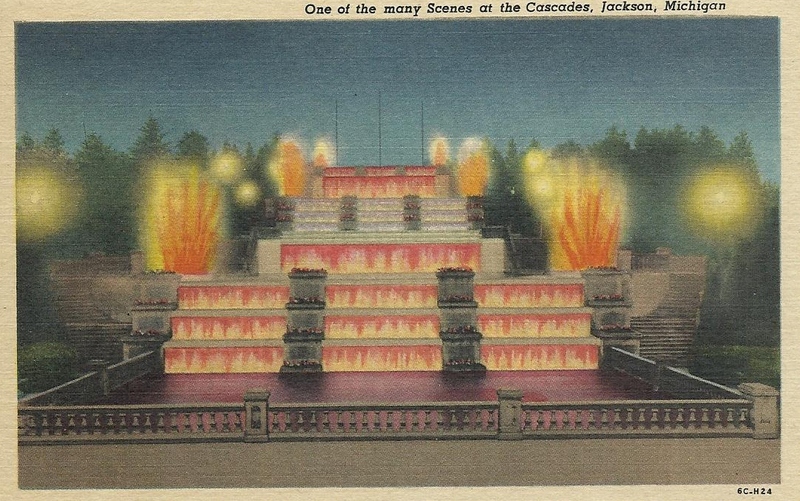 The Cascades were operated nightly through the summers until they were forced to close down during the War. 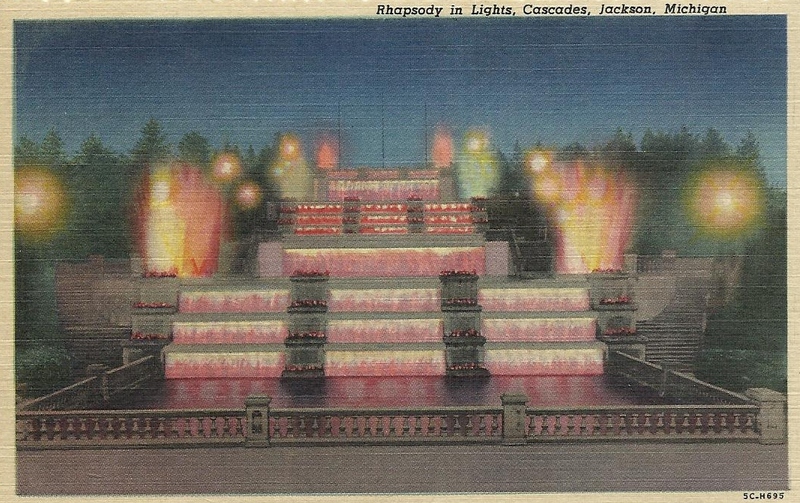 Following the death of Mr. Sparks they were donated to the County of Jackson. Only spectacle of its kind in the World. 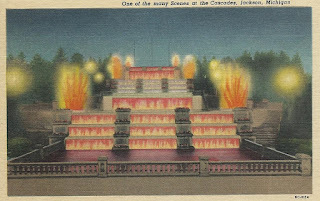 The famous illuminated Cascades are nightly viewed by increasing thousands from all parts of the globe. Water forms and colors change constantly. to illuminate the falls and fountains 1, 230 lamps are required that furnish 240,000 watts of light. The night effect is unforgetable.